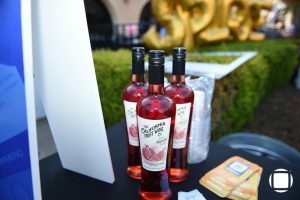 On April 22nd, the Best of North County Party, hosted by San Diego Magazine, was held at The Paddock on the Del Mar Fairgrounds this year. 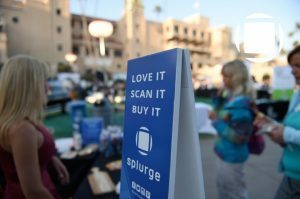 A celebration of the top restaurants, breweries and businesses in North County showcased their offerings, including your favorite app, Splurge. We sampled high end products found on the app, showcasing some of our favorite merchants and soon to be merchants including: Shuga Artisan Marshmallows, VomFass Hillcrest, Darling Biscotti and California Fruit Wine Co.
Our fans splurged on artisan marshmallow pops, grapefruit & pina colada liqueur, citrus vinegar & oil with breadsticks, chocolate biscotti and pomegranate wine. 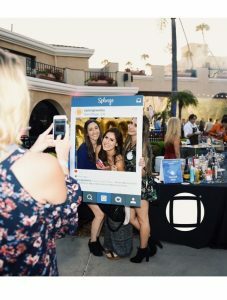 Along with the merchant offerings, we had give aways and took pictures of the attendees with our custom-made Splurge Instagram frame. It was another incredible evening of food, drinks, and live entertainment – Thank you San Diego Magazine! The month of May was just as busy as ever for Splurge. With warmer weather upon us and summer just around the corner, we geared up for a month chalk full of excitement. 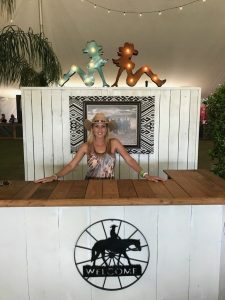 One of favorite event experiences was our collaboration held at Stagecoach with with E.C. Stylebar. For those who don’t know, Stagecoach is a three day country music festival located on the Empire Polo Fields in Indio, CA. Perfectly positioned near the ‘Mane Stage,’ we set up shop for the three days. 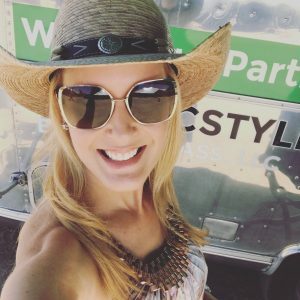 Braids, blowouts, lashes and makeup were all available in the airstream. The unique part about this partnership is that E.C Stylebar was interested in using our app services to help with ease of payment and the luxury of convenience that Splurge offers our users. How about that? Beauty services with just a couple taps of your finger… Genius!